[Geneva, Switzerland] – By 2050 more than one in four people on our planet will be African. Bold action is needed now to ensure that all of them have a fair chance of leading healthy, prosperous and fulfilling lives, urges the newest and final report from Kofi Annan’s Africa Progress Panel (APP). 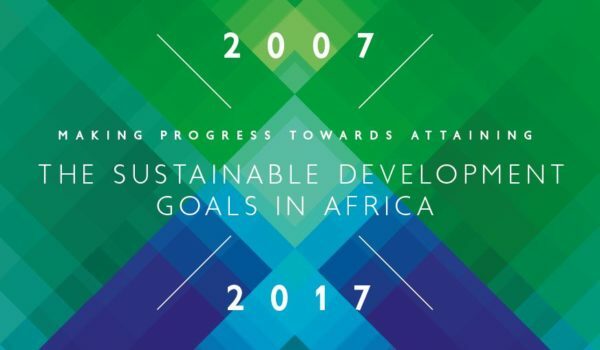 The report, “Making Progress Towards Attaining the Sustainable Development Goals in Africa”,draws from the insights cultivated over the APP’s decade of work (2007-2017), outlining the key opportunities and challenges Africa faces as it strives to realize the Sustainable Development Goals, and create long-term equitable and sustainable prosperity. The APP’s final report is primarily a call to action. It presents a bold agenda for African progress, to be taken forward by leaders on the continent and abroad to accelerate Africa’s transformation in the coming decades. “After ten very active years, the Africa Progress Panel will be ceasing its activities at the end of 2017. However, we are convinced that the spirit of our work must continue.” said Kofi Annan, Chair of the APP. According to Mr. Annan, the APP’s work will be taken forward from 2018 by a new entity, provisionally named the Africa Progress Group, which is to be established by Panel member, and former Nigerian President, Olusegun Obasanjo. The new entity, with operational headquarters at the Centre for Human Security and Dialogue of the Olusegun Obasanjo Presidential Library in Abeokuta, Nigeria, will seek to create a network of robust regional and international partnerships focused on pushing for the implementation of the recommendations the APP has made over the years in its Africa Progress Reports and policy statements. Three core priorities for action are highlighted in the final Panel report: Mobilize sufficient financial resources fast for Africa’s “green and blue” (agriculture and fisheries sector) revolutions, rapidly boost investment in Africa’s energy and transport infrastructure, and fight against illicit financial activities and the mismanagement of Africa’s resources. The majority of Africa’s poor continue to live and work in rural areas, predominantly as smallholder farmers, whilst millions depend on the ocean for their protein and livelihoods. The absence of flourishing agricultural and fishing industries risks excluding the majority of Africans from the rising tide of prosperity. More than 600 million Africans still do not have access to electricity, and the number is set to grow in the coming years. In addition to effectively addressing the climate change challenge, Africa must also proactively rethink the relationship between energy and development, and swiftly leapfrog to a new era of low carbon efficient modern energy systems that provide affordable electricity to all Africans. The Panel also emphasises that a culture of accountability, with zero tolerance for corruption at all levels, supported by transparent institutions, especially with regards to financial activities and tax regimes, will also be fundamental to achieving progressive change and positive transformation on the continent. Additionally, President Obasanjo stresses the importance of ensuring gender equality as soon as possible. “Africa’s future is in the hands of women. Equal education for girls, at all three education levels, is the critical issue”, he said.